Membrane technology for the food & beverage industry requires microfiltration and special attention to hygienic design. 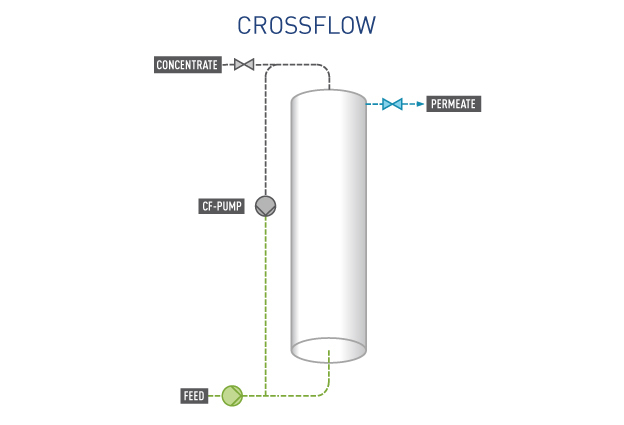 X-Flow R30 modules were developed for the removal of yeast cells, protein complexes and other turbidities from liquids such as beer, wine, cider and milk. These modules, featuring high mechanical strength and high resistance to chemicals, are operated in crossflow mode. MF membranes based on hydrophilic hollow-fiber microfiltration, have a pore size in the range of 0.4 –0.8 µm and are composed of a a PES/PVP blend in a stainless steel housing. The diameter of the membrane modules are approx. 250 mm x 1500 mm. R-30 modules are usually racked in a skid (standard unit) of 6 modules. 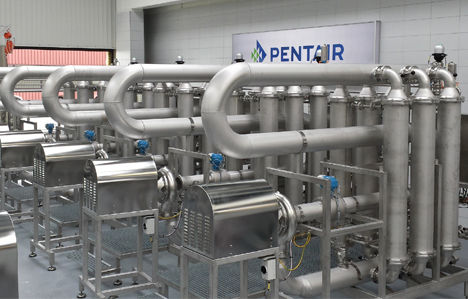 The permeate flow ranges between 1200-2400 liter per hour per module, which amounts to 7.5-15 m3 per hour per skid. The mode of operation is typically batch-wise, but continuous operation by alternation between two sets, or cascade systems, are also possible. 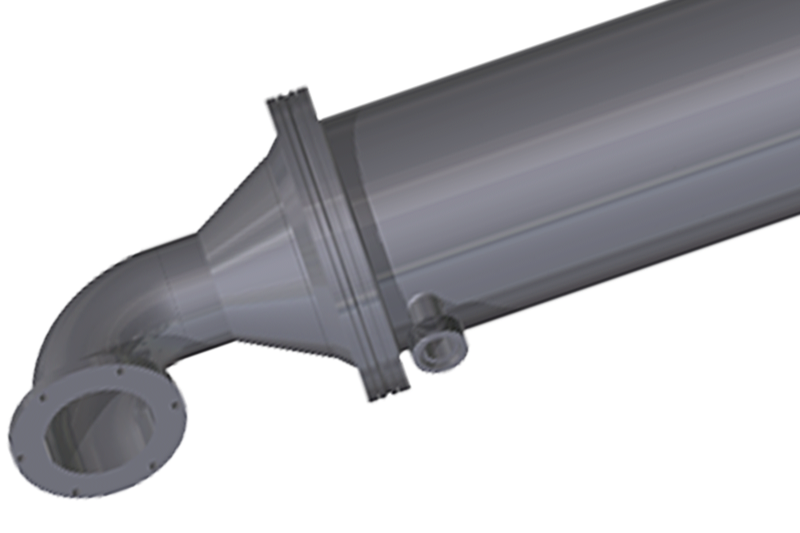 Click here to learn more about the R-30 configuration. The R-30 module delivers superior filtration performance and is the best possible alternative to filtration with diatomaceous earth (DE, traditionally kieselguhr) in breweries. This membrane technology simplifies the process, makes the handling of DE redundant, and strongly reduces the solid waste stream. Above all, beer quality is better and constant; especially beer taste and retention of beer spoiling bacteria. In the production of cider, the R-30 membranes finds the same application as in beer brewing, with the same benefits. The module could be applied in wine and milk as well, or other liquids like filtration of enzymes and sugar.